We hope you'll join us for the 8th Annual Westfield Easter Egg Drop on April 20th! 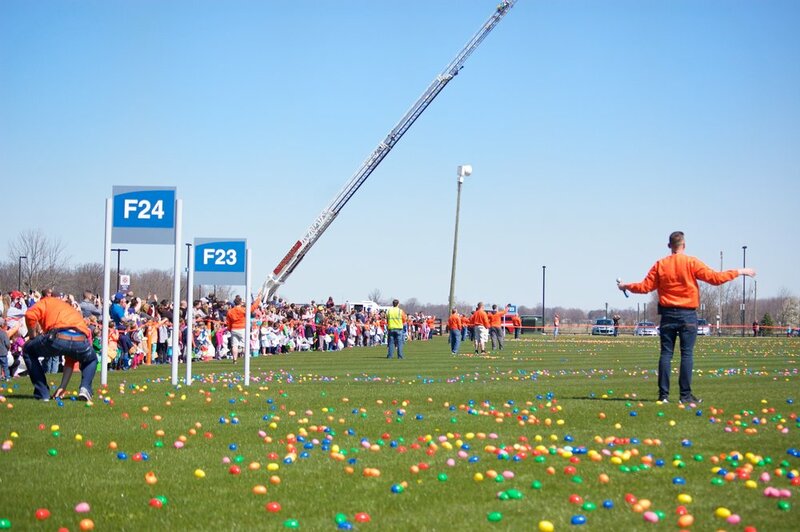 This is one of the largest and most spectacular egg hunts in Indianapolis put on entirely by 180+ volunteers from multiple Westfield-area churches! The event is hosted at Grand Park in partnership with the City of Westfield and our sponsoring partners. We look forward to putting on this free community event every year and our volunteers have already been working for months getting everything set. The helicopter pilot knows his route, tens of thousands of pieces of candy are on the way, the plastic chickens are going crazy laying their plastic Easter eggs (where did you think plastic eggs came from?). All that's missing...is you! As in years past, we'll have two separate drops (morning and afternoon) with over 30,000 plastic eggs being used at both drops. We have also expanded our registration this year with spots for 2,000 children! In addition, we're excited to announce we've added a new area to the Westfield Easter Egg Drop called "Helping Hands." This will cater to children who cannot independently participate in their age group's egg hunt due to limited mobility or sensory issues (read more on the FAQ). 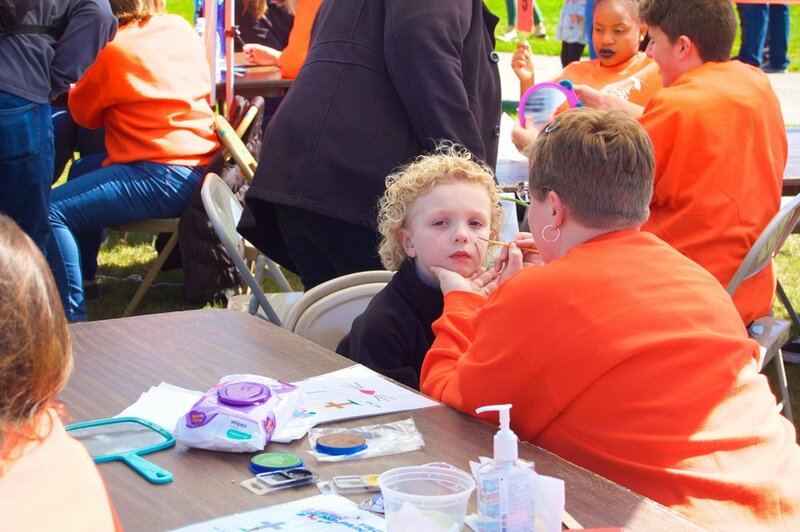 The registration code for this year’s event will go out in the April 9th edition of the Current in Westfield Newspaper. Pre-Registration for Westfield residents will begin on April 10th with open registration on April 12th. Heartland Church — Everyone is welcome. Anything is possible. The Westfield Campus meets are Carey Ridge Elementary School at 16231 Carey Road with Sunday services at 10:15am. Thrive Christian Church — Thrive has been in Westfield since June 2017 and is located at 15091 Towne Rd. Everyone is welcome and invited to join in Thrive's mission: to follow Jesus, connect people to each other and serve our world. Sunday services are at 9:30am and 11:00am. Abundant Life Church— Abundant Life Church is currently meeting in Washington Woods Elementary school at 17950 Grassy Branch Road in Westfield and is a satellite of Abundant Life Church in Kokomo, IN. They gather at 10am on Sunday Mornings. 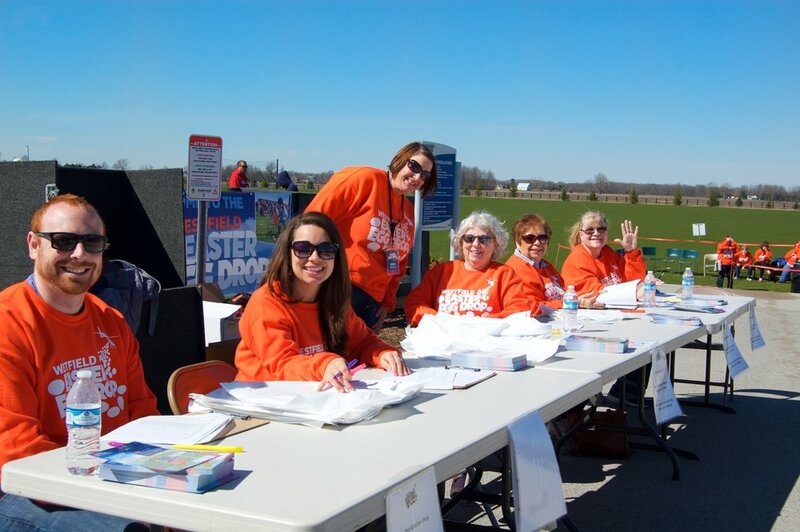 Imagine Church (now known as NSPIRE Church) hosted the very first Easter Egg Drop in Westfield at Oak Trace Elementary on April 7, 2012. It has grown every year since, moving four times (to Washington Woods Elementary, the Westfield High School, and now Grand Park). 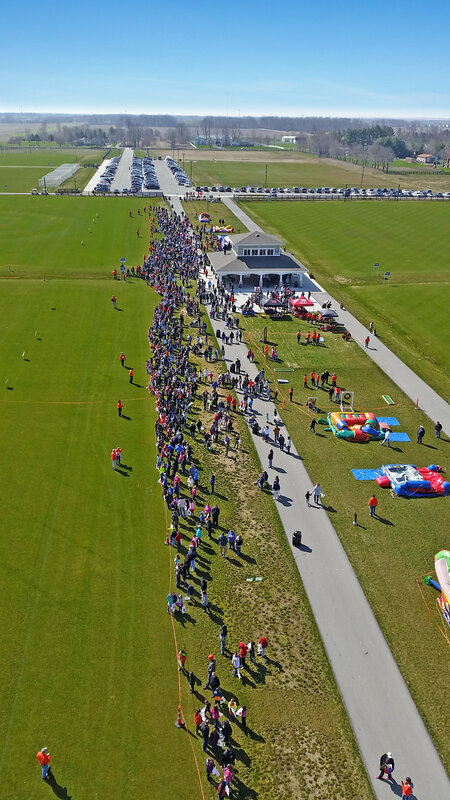 The dream of the Egg Drop has always been about building community and serving our friends and neighbors. In 2016 NSPIRE invited other Westfield churches join together to present this amazing event to the community. Our 2017 Egg Drop was the largest yet, drawing over 4,500 people with 1,600 registered children. The pre-registration filled up in less than eight hours! In 2018 we expanded the number of registered children to 2,000. For the first time in the history of the event, the 2018 Egg Drop was cancelled due to 7 inches of snow.